Donald Thompson was born on the 30th March 1963, in Chicago, Illinois USA, and is an engineer and business executive, best known as the president and chief executive of the McDonald’s Corporation in the period from 2012 to 2015. Thompson’s career started in 1985. Have you ever wondered how rich Don Thompson is, as of early 2017? According to authoritative sources, it has been estimated that Thompson’s net worth is as high as $20 million, earned largely through his successful career as a business executive, but Thompson also worked as an engineer, which improved his wealth too. Don Thompson grew up near the Cabrini–Green housing project and was a bright student from an early age, but after criminals spread through the area in the ‘60s and ‘70s, his grandmother decided to move him to live with his relatives in Indianapolis. There, Don went to the North Central High School, and then graduated with a Bachelor of Science degree in electrical engineering from the Purdue University in 1984. Thompson began his career as an engineer for the military aircraft manufacturer which is now the part of Northrop Grumman, and stayed there from 1985 to 1990. In 1990, he joined McDonald’s specifically to create robotic equipment for food transport, and although reluctant to accept the job, he took the opportunity and moved back to Chicago’s suburbs. He also became a part of the company’s Black Career Development program, which he perpetuated to this day. The smart and talented Thomson quickly moved up on the corporate ladder, and by 1992, he was already promoted to become the Project Manager and Staff Director for the Quality Development department. In 1994, Don moved to Operations, where he worked as a fry cook, shift manager, then assistant manager and co-manager of the South Chicago restaurant. In the next few years, Thompson made further progress, and became the regional manager for the San Diego, California Region, which consisted of 350 restaurants, after which he was promoted to the Senior Vice President of the Midwest Division, and was responsible for over 2,200 restaurants. His next promotion was the president of the West Division, with 4,000 units under his watch. His net worth grew very steadily. By 2005, Don had become an Executive Vice President and as well as serving as Chief Operations Officer (COO) of all US restaurants, while in August 2006, he was promoted to the President of McDonald’s USA and McDonald’s Restaurants of Canada. A year later, Thompson took the role of COO for the global corporation, while in July 2012, Don succeeded Jim Skinner as President and Chief Executive Officer (CEO) of McDonald’s Corp.
After a 4.1% decline in sales in 2014, Thompson decided to quit his CEO position, effective 1st March 2015. The following November, it was announced that Don was joining the vegan meat alternative company called Beyond Meat as the new member of the board of directors. He now also serves on the board of directors of Northwestern Memorial Hospital, Catalyst, and Ronald McDonald House Charities. 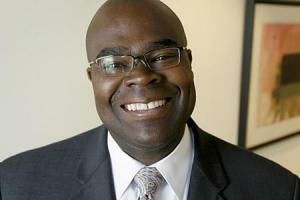 Regarding his personal life, Don Thompson has been married to Elizabeth since 1988, and has two children with her; they currently reside in Burr Ridge, Illinois. 1 He made guest appearances on all three of the longest running North American science fiction series: The X-Files (1993), Stargate SG-1 (1997) and Smallville (2001). Strange Frequency 2001 TV Movie segment "My Generation"